The PGRA staff is among several teams within IADC that are responsible for advocacy activities and intervention on behalf of the drilling industry. 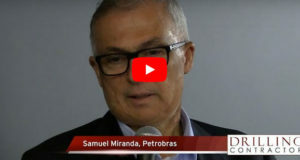 The PGRA team engages proactively with both US and global regulatory and legislative bodies, with policymakers, oil and gas producers and the media. The team focuses on working with regulatory bodies and organizations worldwide to influence policies, provide input on standards-making and pursue better regulation by providing counsel on proposed legislation. “IADC’s advocacy team was very busy this year advocating on behalf of our members,” said Elizabeth Craddock, IADC Vice President, Policy and Government Affairs. 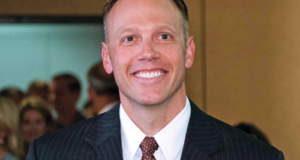 “Several critical regulations were proposed and finalized, and IADC’s team worked with members to understand the impacts of those regulations to our industry and communicate the impacts to the regulators. In addition, IADC continued to build on its relationships in the US Congress in finding willing partners to help press the regulators on the unintended consequences of these regulations and work to find Congressional solutions to blunt the impact to industry. “Next year will be an equally busy year with the start of a new administration and new members of Congress to educate on regarding the importance of our industry and how we operate,” Ms Craddock continued. Over the course of the year, the team published several reports on regulatory activities, including the semi-annual reports, Federal Regulatory Actions Impacting Offshore Drilling report and the International Standardization Activities Affecting the Oil and Gas Industry report. In addition, IADC published briefing papers on 24 critical issues facing the drilling industry for use by our membership and the public. • Pennsylvania’s proposed methane reduction standards. The team also worked on several high-profile projects and activities. Highlights are discussed below. IADC hosted a fly-in for onshore members in Washington, DC, in April and another in September for offshore members. The events provided IADC members with the opportunity to meet with senators and members of Congress and their staffs. The visits served to educate the individuals creating US energy laws and regulatory policies on the industry’s commitment to safety, the overall state of the industry and the role of IADC members. IADC also organized lunch-and-learn events for Capitol Hill staffers during each of the fly-in’s, providing information on how the oil and gas industry operates and the economic benefits it provides. Collectively, IADC members met with senators and members of Congress from Alabama, Alaska, California, Colorado, Louisiana, New Mexico, North Dakota, Oklahoma, Texas, Utah and West Virginia. In association with these visits, IADC members also met with the US Occupational Safety and Health Administration (OSHA) and Coast Guard leaders. IADC participated in dozens of meetings with members of Congress to advocate on important oil and gas issues, including the BSEE Well Control Rule, the BOEM Air Quality Rule, access to public lands for both onshore and offshore operations, and the Hydraulic Fracturing Rule from the BLM. On 30 March, several IADC members met with Congressman Garret Graves (R-La.) at Rowan Companies’ Houston office to discuss general drilling issues in the Gulf of Mexico and the BSEE Well Control Rule. In March, the Railroad Commission of Texas (RRC) issued clarifications to its Statewide Rule 13 – Casing, Cementing, Drilling, Well Control and Completion Requirements regulation. In its original form, Rule 13 included language that would have significantly impacted onshore contractors, where it would have meant the difference between a contractor moving ahead or idling a drilling rig due to the costs of modifying equipment. IADC, along with other industry experts, worked with the RRC on the clarifications, which addressed many of industry’s concerns. As a result of the collaboration, the RRC asked IADC to organize an introductory seminar on the basics of well control for RRC staff. More than 30 members of the RRC field operations staff attended the May seminar, held in Austin, Texas. 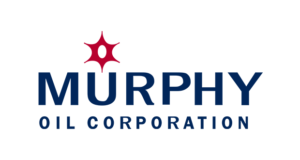 Jason McFarland speaks at the 2016 SPE/IADC Managed Pressure Drilling and Underbalanced Operations Conference, held 12-13 April in Galveston, Texas. 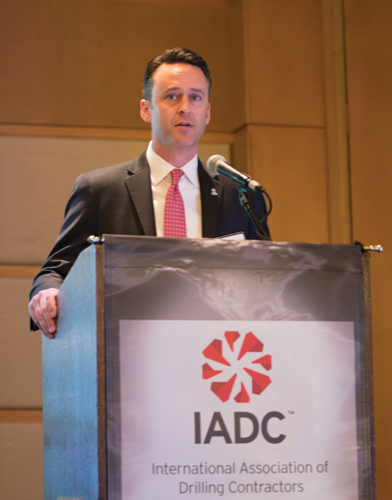 Mr McFarland stepped into his role as President of IADC in March and, throughout this year, has been working to identify members’ critical needs and bringing members together to develop solutions. BSEE’s long-anticipated Well Control Rule was finalized on 14 April and implemented on 28 July. Dozens of industry experts, including IADC members and staff, worked together in joint trade groups to review the lengthy, complex and extensive rule, focusing on portions of it with an imminent effective date. 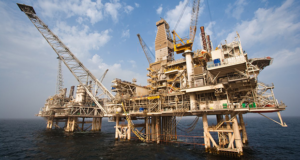 The group subsequently worked to identify key areas of concern in which clarification and/or interpretation from BSEE was necessary in order to successfully implement the rule. Nearly 150 issues of concern were identified and provided to BSEE. BSEE’s responses are being provided on a dedicated website. The proposed rule would offer no beneficial impact on air quality while imposing significant financial and data collection burdens to industry. In March, IADC staff met with representatives of Mexico’s CNH in Houston to discuss, among other things, Mexico’s regulatory reforms and IADC’s accreditation and certification programs. In addition, IADC created a member working group to analyze and comment on the new energy regulations put forth by the CNH and by the New Environmental Agency for the Hydrocarbons Sector in Mexico (ASEA). With input from the group, IADC has responded to CNH’s “Well Drilling Guidelines” and ASEA’s shallow-water and insurance regulations. IADC joined the Independent Petroleum Association of America (IPAA), the American Exploration & Production Council (AXPC) and two dozen other oil and natural gas trade organizations throughout the US to challenge regulations on methane emissions from existing sources, issued by the EPA. Industry contends the regulations could pose a significant threat to American oil and natural gas production. In addition to submitting comments to the Federal Register, the trade groups are participating in a coalition to both litigate and petition to reconsider the regulations. The existing Flower Garden Banks National Marine Sanctuary (FGBNMS) includes three areas and encompasses approximately 56 sq miles. The three existing FGBNMS areas are unique, reef-building corals in the Gulf of Mexico. The National Oceanic and Atmospheric Administration (NOAA) formed an advisory panel of Gulf of Mexico stakeholders, including the fishing and oil and gas industries, to analyze data and make recommendations on what new areas should be included in an expansion. NOAA has gone well beyond what the advisory panel recommended and is proposing to add 15 areas, totaling 383 sq miles, and extending the boundaries around the proposed expansion areas beyond what is needed to offer protection. NOAA is currently considering additional proposals to expand even further to nearly 1,000 sq miles. By extending the boundaries beyond those recommended by the advisory panel, NOAA will negatively impact the Gulf region economy by unnecessarily restricting seismic surveys, pipeline corridors access and drilling. As part of a series of educational sessions for the US Department of Energy (DOE) staff, the Oil and Natural Gas Subsector Coordinating Council (ONG-SCC) held a 2-hr session for DOE and other agency staff who are involved or interested in how the oil and natural gas industry works and how it prepares for and responds to events. 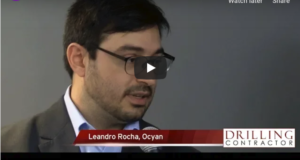 This session included a brief overview of how the industry works – from E&P to distribution – and addressed how various elements of operations across the oil and natural gas supply chain prepare for response. Potential challenges were discussed, as were the ways in which industry and government can work together to limit impacts to the public. The session also highlighted the differences that the DOE, other agencies and regulators need to understand between oil and natural gas when events impact operations. Industry representatives from all aspects of the oil and natural gas supply chain were present and available for questions. 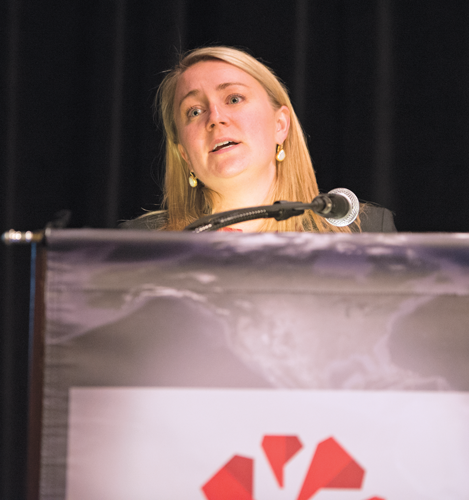 Elizabeth Craddock, IADC VP – Policy and Government Affairs, speaks at the 2016 IADC Drilling Onshore Conference on 19 May in Houston. Ms Craddock provided an update on the top government affairs issues impacting onshore drilling. Throughout 2016, the Operational Integrity team at IADC worked to promote the interests of members around the globe. Operational Integrity comprises IADC’s work in onshore, offshore, QA/QC and accreditation and credentialing. • Contributing to IMO activities. In addition, operational integrity staff work closely with IADC’s committees and workgroups to develop key industry deliverables. Demonstrating a commitment to developing solutions to industrywide critical issues, the group was responsible for the development and initiation of several high-profile projects and initiatives. Some of these are discussed below. Phase II of the IOGP/IADC BOP Reliability JIP was launched in July and included the 20 participants from the first phase, along with eight additional drilling contractors and one new operator. 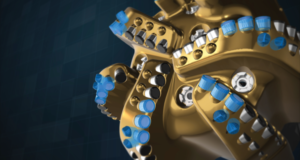 Phase II collects data on surface BOPs, as well as subsea BOPs. 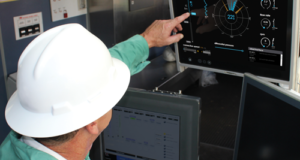 Modifications were made to the original system to facilitate equipment failure reporting by operators and contractors required under the recently enacted BSEE Well Control Rule. The JIP is a unique collaboration among IADC, IOGP, drilling contractors, operators and OEMs. Its purpose is to create and maintain a single industrywide system for collecting, analyzing and reporting reliability and failure data, which can be used to improve BOP safety and performance. IADC acts as overall project coordinator. In 2016, IADC introduced several updates to its WellSharp drilling well control training and assessment program. The online exam was translated and made available in Portuguese, with additional translations in Arabic, Spanish and Chinese to be made available in Q4 2016. A Train-the-Trainer course was also made available for facilitators, along with a knowledge assessment for WellSharp instructors. IADC accreditation staff, along with volunteer subject matter experts, are updating the WellCAP Well Servicing/Intervention course curricula and will launch the modified WellSharp Well Servicing/Intervention Supervisor level in early 2017. WellSharp, introduced in 2015, is a rigorous well control training and assessment program that offers content on prevention, situational awareness, barriers, barrier management, and risk awareness and management. It encourages blended learning to enhance the quality and value of the training, with required independently proctored electronic knowledge assessments and enhanced simulator exercises, a format that has been well received. Gateway was developed by IADC accreditation staff in cooperation with the IADC Workforce Development Committee, which brought together industry partners and more than 50 institutions of higher learning to develop course curriculums. Gateway will eventually comprise a suite of specialized training programs. The Introduction to Oil and Gas is the first available course and aims to help companies connect with colleges, training providers and other organizations to attract, screen, hire, train and promote onshore and offshore oil and gas workers worldwide. In 2016, Houston-based Lone Star College became the first college accredited to deliver training through Gateway. In February, the IADC Workforce Development Committee announced the availability of the leadership competencies, the first non-technical competencies to be defined by IADC. They are designed to complement the previously developed technical KSAs and are pertinent to all personnel levels from roustabout to office operations. They can be used by industry companies to shape leadership competency development within their organization, to evaluate their current leadership model or as a basis for creating a company-specific leadership model. SapuraKencana Drilling’s Louay Laham, who is serving as 1st Vice Chairman of the IADC Southeast Asia Chapter, speaks at a chapter meeting in Jakarta, Indonesia, on 24 May. The chapter saw very active participation at the meeting from SKK Migas, APMI, Pertamina, Pertamina Drilling Services Indonesia and Elnusa. IADC accreditation staff developed the Crane-Rigger Accreditation in cooperation with the IADC Workforce Development Committee as an industry-recognized program that standardizes training for crane operators and riggers. The globally minded accreditation aligns with and surpasses the API RP 2D standard. The program includes requirements such as criteria for content and delivery of knowledge assessments, instructor qualification and standardized skills assessments. The program was launched in October 2016. 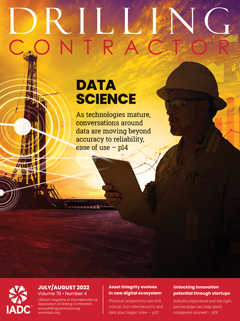 The IADC Incident Statistics Program (ISP) annual report, issued yearly, compiles data that detail fatalities, lost-time incidents (LTIs) and recordables for drilling contractors that voluntarily participate in the program. For 2015, the drilling industry’s worldwide LTI rate was 0.18, and the recordable incident rate was 0.60. A total of eight fatalities were reported in 2015. The IADC International Development team provides an opportunity for IADC to showcase leadership on a global scale, in all of the geographies where members have operations. IADC has regional representatives based in Europe, Brazil, the Middle East, Asia Pacific and Australasia. The representatives attend IADC chapter meetings and activities and liaise with government officials and regulators to advocate on behalf of drilling contractor members. 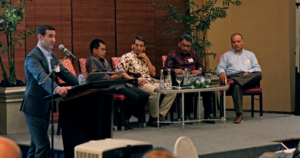 • On 24 May, the IADC Southeast Asia Chapter hosted one of its most successful chapter meetings to date in Jakarta, Indonesia, registering more than 100 people. The active involvement and support from key IADC companies and local organizations, such as SKK Migas, APMI, Pertamina, Pertamina Drilling Services Indonesia and Elnusa, was instrumental in the overwhelmingly positive response to the meeting, which featured an extensive meeting agenda, panel discussions and presentations from invited speakers. • On 18 August, the IADC Southeast Asia Chapter, in collaboration with APMI, helped the Indonesian regulator SKK Migas to facilitate a workshop in Jakarta, titled “National Capacity Building for Drilling Operations.” The IADC presentations featured in the workshop included discussions on the KSA competencies, WellSharp and highlights of other key IADC programs and resources. • On 21 September, IADC Regional Representative Derek Hart, along with UK HSE representatives, met in Aberdeen with 12 inspectors from the Mexican environmental regulator ASEA and a representative from the British Embassy in Mexico City. The purpose of the visit was to gain a better understanding of major hazard assessment and mitigation regulatory measures used in the UK North Sea. The group also toured the Maersk Training facility in Aberdeen. • In conjunction with the IADC Northern Arabian Gulf Chapter, 2016 IADC Chairman Thomas Burke and IADC President Jason McFarland are scheduled to facilitate a workshop in Saudi Arabia on 23 October that will focus on IADC management gaining a better understanding of the unique challenges in the Northern Arabian Gulf area, both onshore and offshore. The workshop will also allow IADC to provide an update on current initiatives, including WellSharp and the BOP JIP. Mike Killalea, IADC Group VP/Publisher, opens IADC World Drilling 2016 in Estoril, Portugal, on 15 June. Mr Killalea and his team launched the Drilling Matters website this year. The goal of the project is to inform, educate and dispel misconceptions about the oil and gas industry. The IADC Drilling Services Division comprises four committees – Advanced Rig Technology (ART), Drilling Engineers, Technical Publications, and Underbalanced Operations & Managed Pressure Drilling (UBO & MPD), under the stewardship of Mike Bowie, GE Oil & Gas, IADC Vice President-Drilling Services. The IADC ART Committee’s mission is to improve safety and efficiency through sound operating procedures, design of automated systems and standardizing automation. Led by ART Chairman Terry Loftis, Transocean, the committee recently delivered landmark guidelines for assessing cybersecurity for drilling assets. 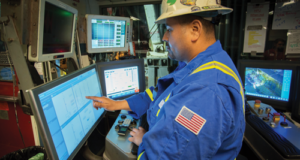 The IADC Guidelines for Assessing and Managing Cybersecurity Risks to Drilling Assets are the only guidance specifically for drilling operations. The guidelines, developed through the IADC ART Drilling Controls Subcommittee (DCS), chaired by Trenton Martin, Transocean, and developed by an ad-hoc work group led by Dr Siv Hilde Houmb, SecureNOK, draw from international standards to enable assessment of cyberculture on drilling rigs. Due to the continuing menace of cyber-threats and the success of the new guidelines, the workgroup was transformed into the IADC ART Cybersecurity Subcommittee, led by Dr Houmb. Alarms are important in any industry, but the proliferation of these useful devices can lead to confusion or worse, a mind set that tunes out important alerts. To help, an ART workgroup, also part of the DCS, is developing alarm management guidelines for the drilling industry. These guidelines are expected to be published late this year or in Q1 2017. To further drilling technology, the ART Future Technology Subcommittee has launched a forum called the IADC Spark Tank. 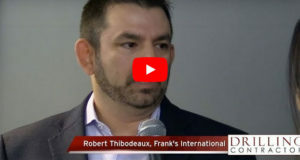 The Spark Tank is designed to provide technology entrepreneurs an opportunity to pitch their products and ideas to a panel of drilling contractors and operators. The purpose is to provide “sparks” of insight to developers on what matters to their desired customers. During the event, four tech entrepreneurs discuss their ideas or new product/service before a panel of four operators and drilling contractors and an audience. The four panelists question each presenter and provide feedback on the product. • Innovations in Drilling Safety, 9 November, hosted by GE Oil & Gas. • Decision Support for Dynamic Barrier Management: Bill Nelson, DNV-GL, Chief Researcher. 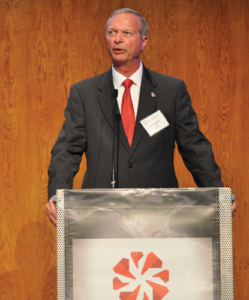 Led by Chairman Leon Robinson, the members of the IADC Technical Publications Committee write books spanning a wide range of drilling technology. Unlike most such books, however, these books are peer reviewed by the committee and outside experts. 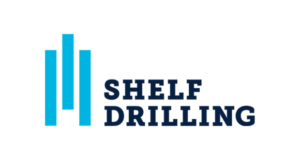 Together, these books comprise the IADC Drilling Series. 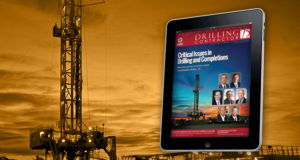 The series, when complete, will serve as a comprehensive set of books on critical topics in drilling. The latest addition is “Coiled Tubing Operations” by Les Skinner. It is a comprehensive coverage of the spectrum of coiled-tubing operations. In addition to describing coiled-tubing units and their history, the book provides an in-depth review of coiled-tubing components, operations and applications. Appendices provide rigorous mathematical treatment of numerous engineering equations. The IADC UBO and MPD Committee, chaired by Per Cato Berg, Statoil, is an active group that has developed numerous guidelines that have been adopted by API. These include API 92U (Underbalanced Drilling Addendum) and API 16RCD Edition 2. • RP surface backpressure, subsea BOP. • RP controlled mud level. The Dual Gradient Drilling Subcommittee is roughly 50% done with the initial draft of an RP for controlled mud level drilling. Meanwhile, the HSE & Training Subcommittee has updated the underbalanced well control training curriculum, which was initially launched 10 years ago. The group has also developed an MPD training curriculum, which is going through final comments and review. In addition, the committee recently decided to begin work on gas in riser, a key safety concern. IADC’s Communications Department publishes the news and information our members need when they need it. This magazine was among the very first to cover the landmark Diamond Offshore/GE Oil & Gas subsea BOP deal and published an exclusive article with the head of CNH, the Mexican oil and gas regulator. DC is at the forefront of technology, as well. 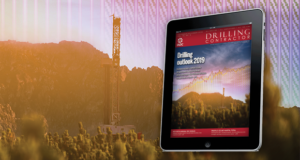 For example, IADC’s official magazine recently published an article detailing the drilling of two real-world wells using algorithm-based remote directional drilling. DC was early, also, in reporting on big data, with, for example, an article penned by the Operators Group for Data Quality. Training is critical to the industry and in our reporting. 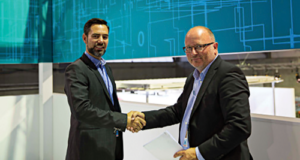 Most recently, IADC published multimedia coverage of new enhanced well control training being developed by Rowan Companies and Maersk Training. “IADC’s editorial team, led by our Managing Editor Linda Hsieh, continues to break new ground,” Mr Killalea said. “Together with our top-notch graphics, videos, electronic newsletters and current news, we provide comprehensive reporting on our members, the industry and IADC.” Mr Killalea also cited the contributions of IADC Creative Director Brian Parks and Director-IT and Web Services Anthony Garwick, who is also IADC’s chief videographer. IADC is an industry leader in multimedia communications, deftly tying its traditional print magazine with dozens of online videos (nearly 100 produced each year) and web-based panel discussions. IADC’s DrillingContractor.org also features, in addition to news, videos and archives of DC magazine, highly focused “microsites” on eight specific areas –— drilling rigs and automation; completing the well; global and regional markets; IADC: global leadership, global challenges; the offshore frontier; onshore advances; drilling it safely; and innovating while drilling. In addition to six annual issues of DC and the 2016 IADC Membership Directory, IADC Communications publishes 12 issues each year of DrillBits, IADC’s electronic newsletter discussing IADC initiatives, regulatory affairs, new members, accreditation news and more. Also during 2016, 15 issues of electronic newsletter eNews from DrillingContractor.org will have been produced by year-end, covering all aspects of drilling technology, markets, trends, etc. 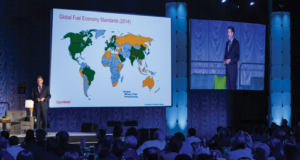 The video-rich eNews includes significant coverage from IADC conferences and events. IADC Communications explores key issues with virtual panel discussions, which are webcast for a year after release. The most recent, aired in October 2016, discussed “Leadership for the Upturn: Are Your People Ready?” Panelists were Chris Beckett, CEO, Pacific Drilling; Mr Burke, President and CEO of Rowan; and Dave Massey, President, The REACH Group. Mr Killalea served as moderator. • Mr Skinner’s “Coiled Tubing Operations” book: Comprehensive treatment of coiled-tubing operations, with descriptions of coiled-tubing units, as well as components, operations and applications. The text also includes rigorous mathematics to derive key engineering equations. Key contacts at the IADC Bookstore are Loretta Krolczyk and Jimmie Cobbin, who produced IADC’s new set of full-color safety posters. Click here to learn more about the IADC WellSharp Program. Click here for more information on IADC’s 15 chapters around the world. Click here to view the Texas Railroad Commission’s revised Statewide Rule 13. Click here for more information on the IADC Advanced Rig Technology Committee and its events. Click here to access a list of DC’s highly focused “microsites” on eight specific areas. 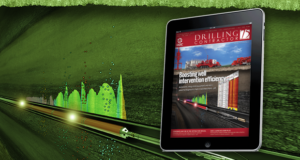 Click here to access the Drilling Matters website.